One of High Point Ireland’s main community-based goals is to provide the most flexible, outward-facing platform through which individuals and relevant organisations can share stories and messages. We aim to achieve this goal by providing a network of regional blogs and by encouraging the use of social media networks. Individuals, groups and organisations can easily share their stories as blog articles via High Point Ireland’s four regional blogs on WordPress. Please follow the guidelines on our “Submit a blog article” page. All posts published on these regional blogs will also be reposted on the main High Point Ireland News Hub blog. We want to maximise our contributors’ story-sharing potential and we encourage them to include clickable links from their articles to related external content (e.g. the contributor’s own website or blog). Contributors can select a featured image from our pre-loaded media files to display as their post’s header. Other images and videos can also be added to a post by inserting appropriate social media URLs as separate paragraphs within the text (refer to “Submit a blog article” for guidance). These URLs will convert into clickable images and videos which will link directly to the original social media post. 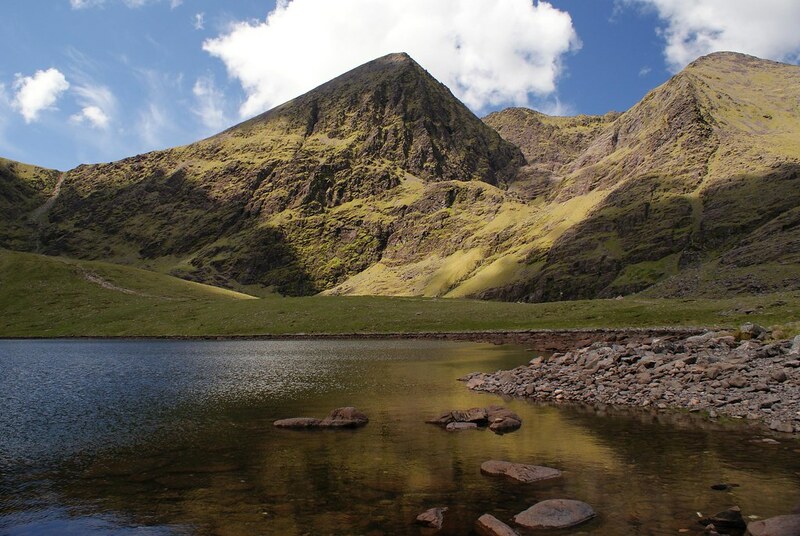 For example, a paragraph containing only https://www.flickr.com/photos/kierongribbon/38818622771 will appear in a published article as this Flickr image of Carrauntoohil. To become a contributor, you will need to have a WordPress profile. When you have this set up, please fill out and submit the Contributor Joining Form. When we receive this form, we will invite you to join your selected regional blog(s) as a Contributor. Every article published on our regional blogs will display the name of the person who wrote it. Clicking on a contributor’s name within a post will open a page which lists all the articles he or she has posted to that regional blog. The contributor is free to promote that page as their own blog homepage if they wish. In fact, this is a very convenient way for individuals to create a dedicated blog for their Highpointeering adventures. If a contributor already has their own blog on WordPress, they are very welcome to repost relevant articles to the appropriate High Point Ireland regional blog. The repost will display its contributor’s name and will include a link to the original post in his or her external blog. All reposts published on the regional blogs will also be reposted on the main High Point Ireland News Hub blog. Contributors are welcome to link to their regional blog posts from comments they leave on relevant page(s) of the High Point Ireland News Hub forum. The forum also allows any site visitor to submit Highpointeering news snippets as comments without even having to sign in. Forum comments will appear in the “Recent Comments” section of the News Hub. Each new article published on our regional blogs will be announced on its respective Facebook page. Other messages will be shared by our regional Facebook page moderators. Each new article published on our regional blogs will be announced on its respective Twitter feed. We will also retweet any relevant tweets which are brought to our attention. We are looking for one dedicated Highpointeer from each province to join the High Point Ireland community as a Regional Representative (RR). Each RR will have a prominent role in the future development of Highpointeering within his / her respective province. RRs will be granted “moderator” privileges on our regional Facebook pages and will also help to promote Highpointeering and encourage participation through real-world interaction. The four RRs will also form part of a new all-Ireland Highpointeering committee which we will be setting up in 2018. Next PostThe 10,000m Challenge begins!